Brandon is a Co-Founder and Financial Advisor at Auxilium Financial Advisors, LLC and has over three years of experience in the financial services industry. 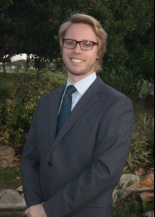 Brandon works tirelessly to ensure his clients the promise of a secure financial future. At Auxilium, Brandon works in business development and client relations. ​Prior to his time at Auxilium, Brandon held the title of Marketing Assistant at Telos Capital Management, Inc., where he worked primarily in assisting in business development. 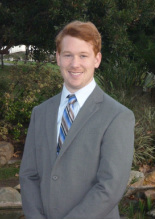 Brandon graduated in May of 2014 with a Bachelor’s degree in Business Administration with an emphasis in Financial Services at San Diego State University, and is currently an active member of the Financial Planning Association, San Diego Chapter. In his free time, Brandon enjoys playing golf, stessing the importance of the Oxford comma, and spending time with his family. Bill is a Co-Founder and Financial Advisor at Auxilium Financial Advisors where he spends most of his day meeting with clients, guiding them through their financial plan and discussing investment strategies. Bill currently holds certificate in Personal Financial Planning from San Diego State. Bill is also an active member of San Diego's Financial Planning Association and also attends the local FPA NexGen chapter meetings! Prior to entering the financial services industry, Bill worked in the construction industry as an estimator in Fargo, ND. After marrying the love of his life and convincing her to move to San Diego, he realized his true passion was in helping individuals navigate the finance world in order to plan for the future, invest wisely and build wealth. Bill’s first job in the industry was as a door to door Major Flood Insurance salesman in San Diego, where he gained invaluable experience from helping create comprehensive Flood Mitigation plans for wealthy clients, as well as learn the fundamentals of traditional and alternative investments. When Bill is not in the office, he enjoys spending time with his wife Kristen and their dog, Miley Cyrus. Being from the Midwest, they take advantage of Southern California’s amazing weather as much as possible by exploring San Diego County, hiking and hanging out at the beach. Lucas helped Co-Found Auxilium Financial Advisors, LLC in 2013 and has worked in the financial planning industry for more than four years. At Auxilium, Lucas works with clients to deliver them in-depth financial plans, covering all areas of financial planning. He considers his main interest and area of expertise in insurance planning. Along with his team, Lucas develops a solid understanding of his clients ultimate goals and objectives to thus implement a strategy to achieve them in a timely matter. 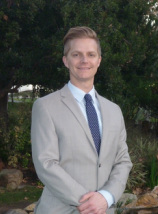 Lucas previously worked at Metropolitan Life Insurance Co. (MetLife) in their San Diego office as a support member for their Case Design Unit. There he conducted data entry, Morningstar® reports, miscellaneous spreadsheets and assisted over 20 Advisors with their financial planning practices. Before MetLife, Lucas served 4 years in the U.S. Coast Guard. Lucas is a graduate of San Diego State University with a B.S. in Financial Services.